Home > Blog > Posts > What Are the Top Website Builders for WordPress? What Are the Top Website Builders for WordPress? Building your own website is key when you’re trying to promote your business products and services. Right now, there are over four billion internet users around the world. So it makes sense for brands to have an online storefront to attract and attain customers. This is why you’ll find nearly 2 billion websites online today. Some choose to hire developers to create their websites, while others try to do it on their own. In the past, building your own website was detrimental to your reputation. After all, first impressions make lasting impressions. Today, small businesses and startups are able to save money, while still achieving beautiful website results. One option is to use a WordPress website builder tool. There are a number of them out there today that you can use. So in this article, we’re going to cover some of the most popular choices available. 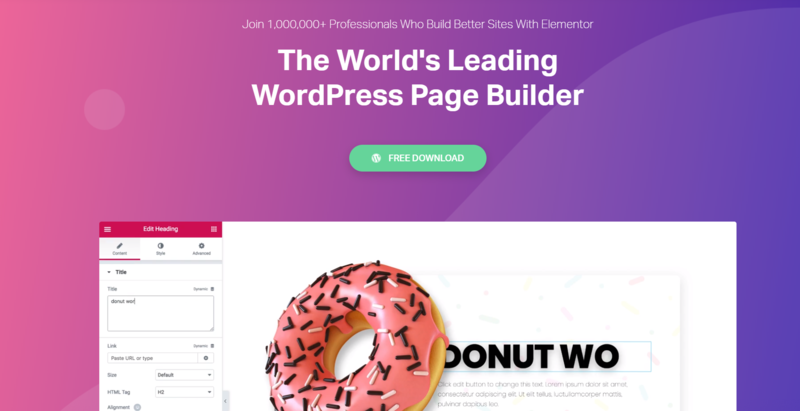 Divi Builder is one of the top website builders you can use for your WordPress website. But why should you use it to create your website? Now, don’t confuse the Divi Builder with the Divi Theme. The builder is an advanced website builder, but this doesn’t mean you can’t do it yourself. 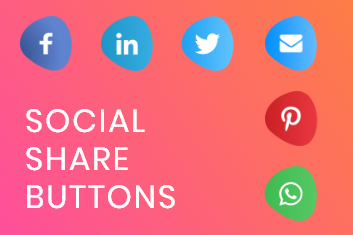 This just means there’s a lot you can customize to truly make your website your own. For instance, it comes with a front end page builder, which covers the design of your site. Then there are hundreds of templates you can choose from as well. So if you’re not comfortable with making your site from scratch, then this is good news for you. What’s also good about this builder is that it comes with global elements. This means you’re able to make adjustments to all areas of the website in just a few clicks. For instance, if you wanted to change the background image or color on all of the pages, you can do so without going to each page to make the revision. You won’t find many website builders that are as flexible as this one. It comes with shortcode, which many people are familiar with. You’re able to easily create footers and headers. However, you’re not able to develop custom page templates or archive pages. Yet, these features are in the works and may be available soon. 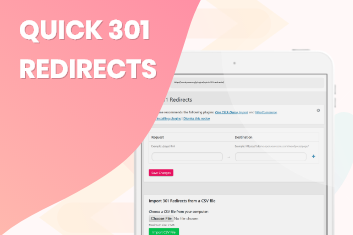 The drag and drop features of the Divi Builder make it a breeze to use. It is a premium plugin, so you can expect to pay. The prices range from $69/yr for the personal to $89/yr for the developer option and $249 for lifetime access. Here’s another drag and drop WordPress plugin you can use to build your website. Again, you don’t need to know any code whatsoever. You just simply grab what you want and drop it into your web page template. A lot of folks are able to use this from the jump, creating their web design without starting from scratch. For example, you’re able to select the template you want, switch out the images, and insert text where you want it. Then once you’re done, you hit the publish button to make it go live. You can use this plugin with any WordPress theme you choose. Also, if you stop using the plugin, it’ll import your content to the WordPress editor. There are more than 30 templates of landing pages you can choose from to capture more leads. 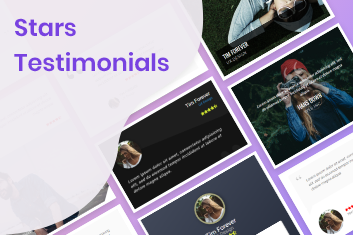 This too is a premium plugin, so you can expect to pay $99 for the standard package, $199 for the pro package, and $399 for the agency package. What’s great about the pricing is that it’s a flat rate so it’s always yours – no monthly or annual billing. It also comes with an onboarding tour of the interface so you can get started quickly building your website. Now, if the prices of the first two builders aren’t within your budget, then you may like the Elementor builder. It begins with a $49 rate for one website, $99 for businesses with three websites, and $199 for unlimited websites. But what’s better is that there’s a free version. This is the first WordPress page builder that’s free and open source. Maybe this is why it’s one of the top website builders on the market. It comes with hundreds of beautiful templates to choose from. These are designed by professionals and you can import them to any website using the Elementor builder. Some of the features you get with this includes Canvas, which you can use to design gorgeous high-converting landing pages, maintenance mode with offline capabilities, and Zapier integration so you can easily connect your favorite apps to your site. You have the option to build your own layout if you don’t want to use one of the templates. There are many elements and widgets it comes with to make the design process seamless. Now, it’s important to note that Elementor has a restrictive license. Freelancers and agencies should also be aware that this builder’s pro version isn’t GPL. 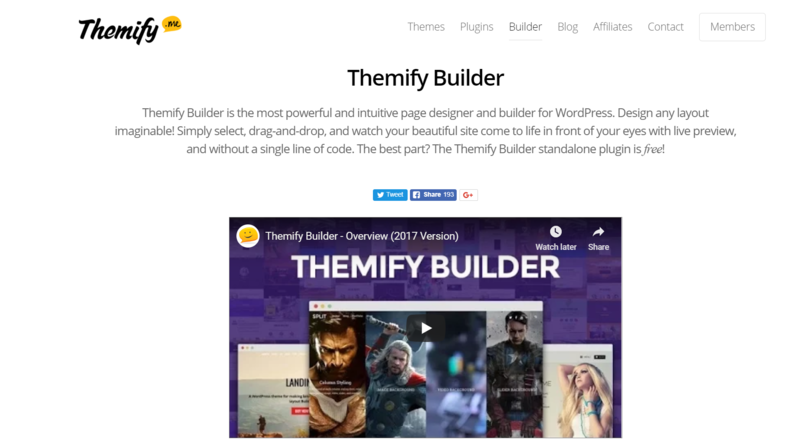 If you can think it, you can build it using the Themify builder. This WordPress plugin comes with more than 60 pre-built templates to choose from. You can also select from a variety of animation effects, such as shake, flash, swing, bounce, and light speed in. With its drag and drop features and templates, you can quickly build a website or landing page from scratch. Just import your layout of choice and insert the text and images you’d like to use. You can couple this plugin with third-party WordPress themes. It also has a compact backend interface, which can make it easier to navigate and understand. Then in the frontend, you can preview your website design before making it live. You can even make live edits to the modules. While the core plugin is free, there’s a premium version you can use that’s $39, which comes with an add-on bundle. This user-friendly website editor can help you design customized layouts quickly. This too has a drag and drop feature, which removes any need for coding knowledge. It comes with professionally designed templates, like with the others. It allows you to create your own headers, footers, logos, sidebars, menus, and so on. It’s literally a website builder, not just a page builder like you’ll find with many other WordPress plugins. You can also use this builder with a number of WordPress themes. And you can even switch themes without losing the layouts you selected. Some of the tools you can use in conjunction with this builder Google Fonts, Gutenberg editor, and Yoast SEO. If you’re looking for a professional looking design for your website, then Visual Composer is a great tool. Then it makes the design process easier by remembering the color palettes you choose. This is essential to maintain a consistent look throughout your site. 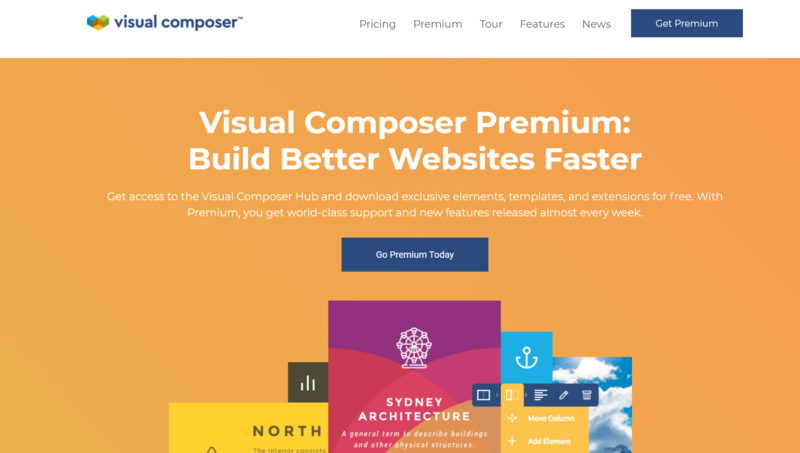 The cost for Visual Composer is $59 for one license. However, if you have more websites, then you can opt for the $149 for three websites and $349 for unlimited websites (ideal for developers). Deciding which plugin to use to build websites and pages for your business shouldn’t be hard. And it isn’t if you know what to look for. This list was comprised based on various factors that are essential to website design and business owners (aka non-designers). For instance, we look at how easy it is to use the website builder. This is important since most people using these plugins aren’t design professionals. However, it’s also important for the plugin to have advanced features and modules you can use once your knowledge grows. This way, you can upgrade your website as needed for your business. We also look at whether or not the website builders come with pre-made templates. This too makes it easier for non-coders to create a website quickly. Then once you have your site set up, it’s important for it to run smoothly. So we identify whether the plugin will bog down your WordPress website with slow page load speeds. Last, it’s important to determine what happens if you decide to stop using the plugin. For instance, will it disrupt the content and design? Of course, the price is important, but shouldn’t be a leading determining factor. It’s all about value – getting the best bang for your buck. Everything we have on this list meets these criteria so you can select one from this list. If you’re a business that’s looking to save money, then having the right tools is key. Today, there’s no need for you to have coding and design knowledge, thanks to WordPress plugins. Be sure to check out some of the items on this list to see which you like. Then if you’re looking for a way to capture more leads on your new website, then why not include a Chaty? You can easily do so using Premio. Again, when you’re equipped with the best tools, you can make advertising and selling a breeze!